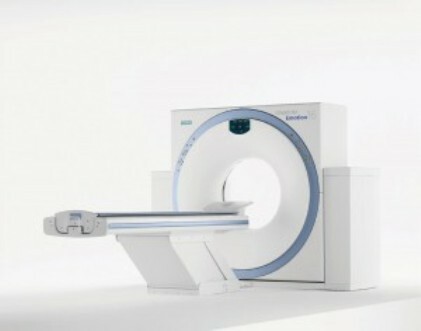 The Siemens Somatom Emotion 16 is incredibly compact and needs only 18 square meters of floor space. The Emotion 16 provides high quality images with minimal life-cycle cost. In addition, you will also have access to a wide range of clinical applications. The Emotion 16 has been designed with a 70 cm aperture, a 50 cm scan field and a patient table that can hold patients up to 440 pounds. The Emotion 16 offers on-the-fly reconstruction of up to 16 images per second. A powerful and cost-effective scanner, the Emotion 16 will allow your clinic to perform routine exams as well as detailed and high resolution exams.